Whether the weather be hot, whether the weather be cold, Apple’s weather app is here for you, whether you’re young or old. 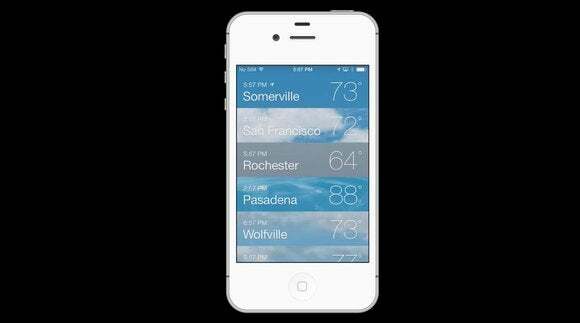 Yes, for today’s Macworld video, we’re going to talk a little bit about an old default: The weather app. Apple’s Weather app is fairly easy to navigate and use; opening it presents you with a list of your favorite locations, along with quick glances at their time zone and current weather. Tap a location to view it in more detail. Inside this expanded screen, you can get more information on your 24 hour and seven-day forecast. You can also see the current humidity, wind speed and direction, chance of rain, and feels like temperature by tapping the current temperature. You can swipe left or right to see other locations, or pinch the screen to return to your weather overview. If you prefer Celsius to Fahrenheit, scroll to the bottom of the screen; there you can swap temperature readings. You can also add new locations to the weather screen from here. Of course, you don’t even need to be in the Weather app to take advantage of its data: You can just chat with Siri. Hey, Siri, do I need a coat tonight? Thanks! You can also ask Siri about the weather for any day in the seven day forecast, or add the name of a city to get weather details for other places in the world. For Macworld, I’m Serenity Caldwell, and thanks for watching.